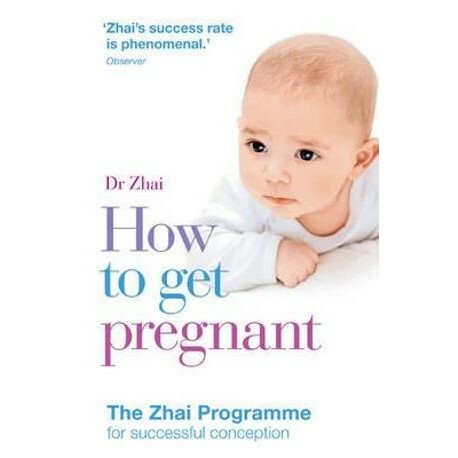 Whether you're looking to conceive naturally, or are undergoing assisted conception, Dr Zhai's pioneering programme will give you the best possible chance. Focusing on how to create super-healthy eggs and sperm, she uses a combination of acupuncture, herbal medicine and lifestyle guidance to achieve consistently impressive results. Now she makes her advice available to all couples looking to conceive, with a practical programme that can be followed by anyone. Treating the body as an integrated system, her accessible methods focus on creating balance between different energies, organs and functions, preparing the bodies of both men and women for optimum fertility. Dr Zhai's unique blend of western medical techniques and traditional Chinese medicine have achieved an astonishing, consistently high success rate of 78 per cent in her Harley Street clinic. Now, with How To Get Pregnant, everyone can use these methods for the optimum chance of creating that longed-for baby.